BIGGEST CAMPAIGN OF THE YEAR! 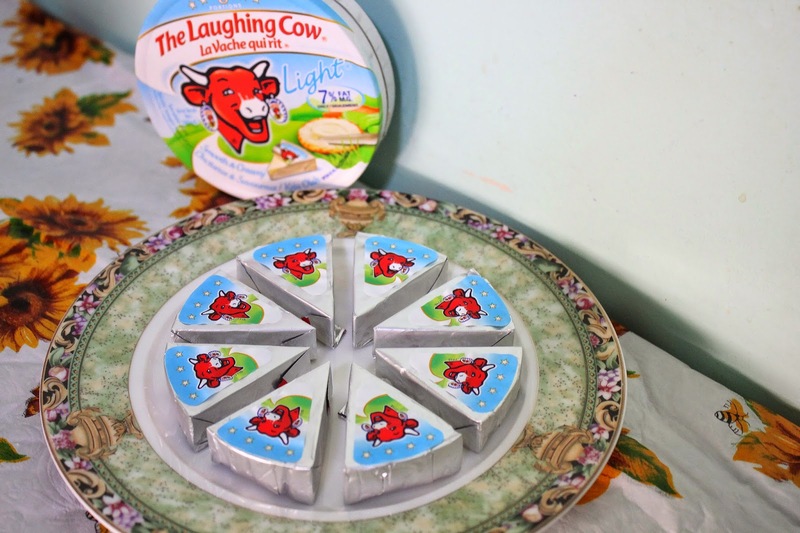 Before I begin, can I just say that I've been a loyal customer of The Laughing Cow since eons ago. 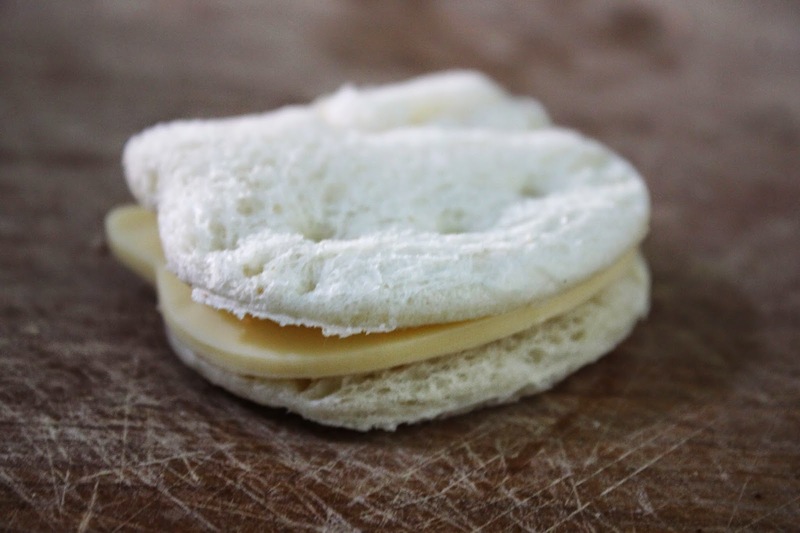 Even Aaryanna eats their cube cheeses on a daily basis. See! The cheeses in this photo are in no way sponsored. It is bought by my mil and solely for Aaryanna to eat. Can you tell how much Aaryanna loves em'?! 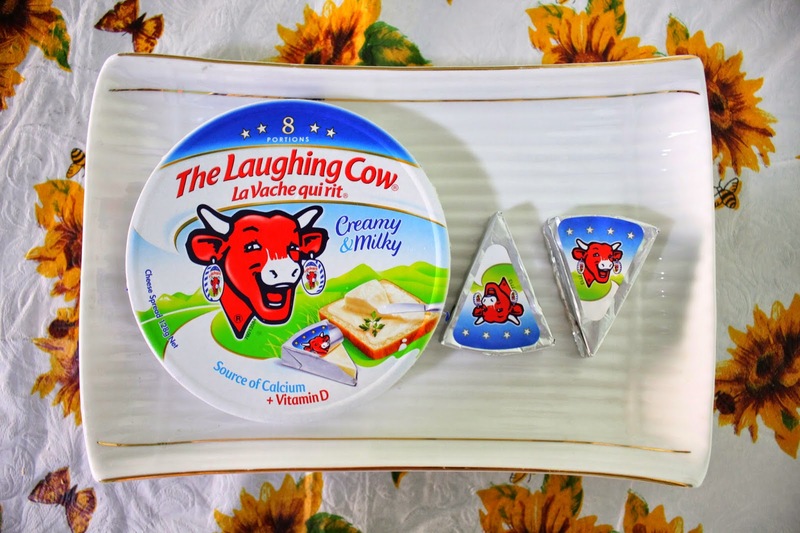 The Laughing Cow is one of the world's leading cheese brands, it is sold in most major supermarkets (In Singapore). 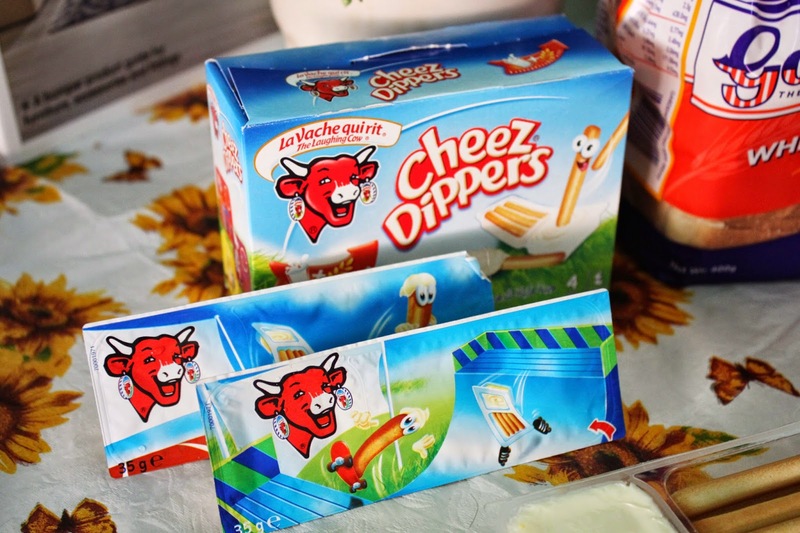 It is well loved for it's wide variety of portion-controlled snack cheeses such as The Laughing Cow® cheese wedges, cheese slices, and Cheez Dippers®, etc. 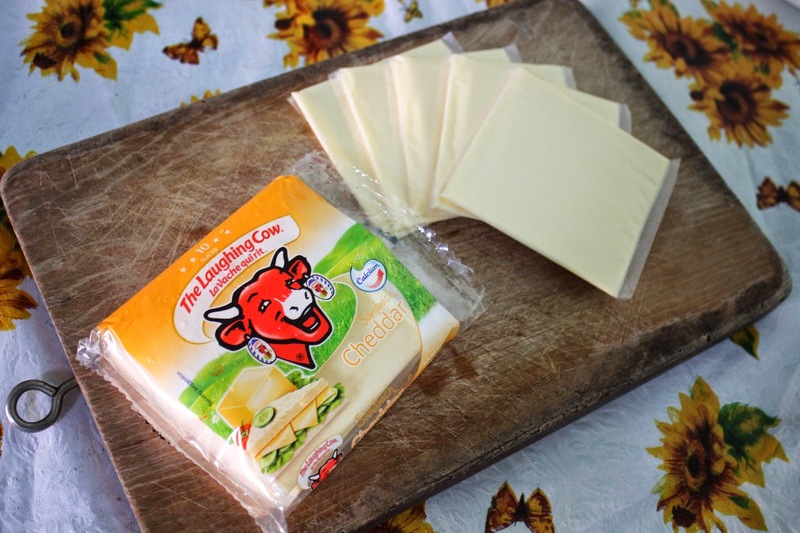 Deliciously smooth and delightfully tasty, each cheese portion is packed with dairy goodness and individually packaged for convenience. 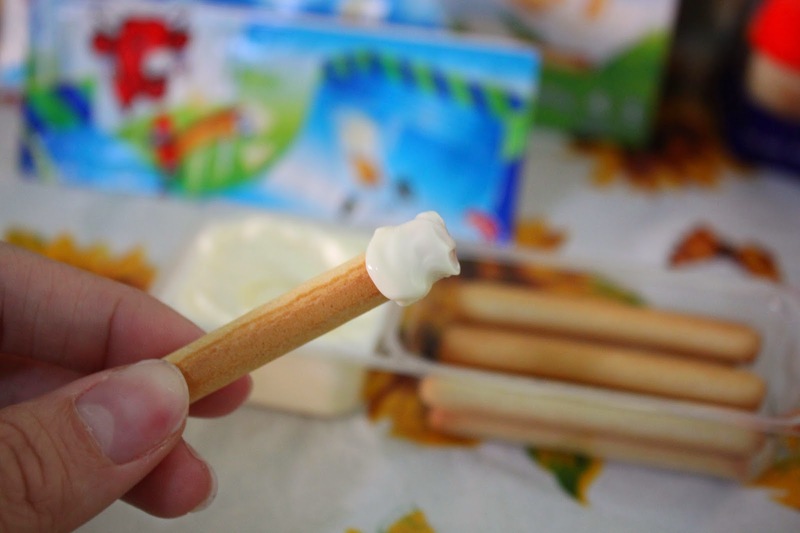 Great flavours and unique pull-tabs create a one-of-the-kind snacking experience every time a piece is unwrapped. 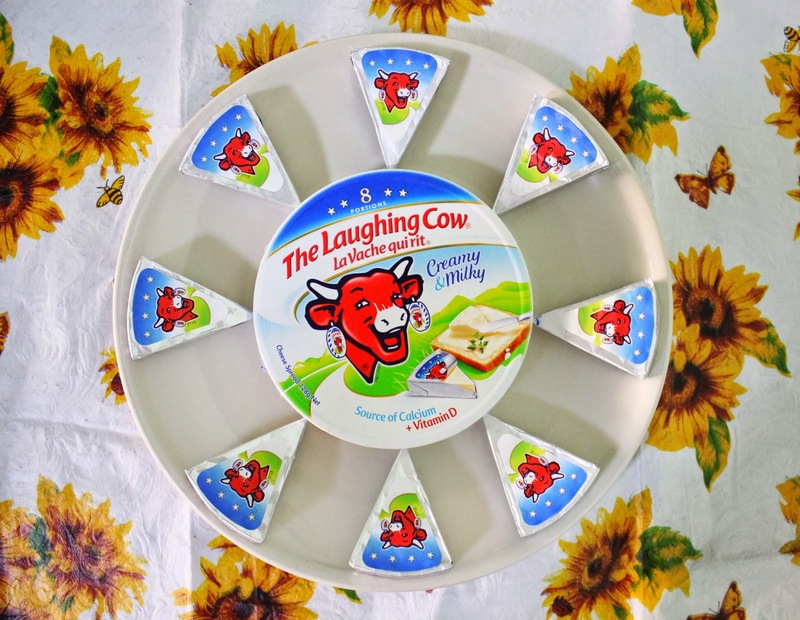 Holding it's biggest consumer campaign of the year from 1 March to 31 May 2015, The Laughing Cow® aims to cultivate the good habit of savings in children. Parents will have the chance to join in the grand lucky draw, where a total of $15,000 in cash prizes will be shared among 30 winners. With the cash prizes, children can save and use this money to pursue their dreams. 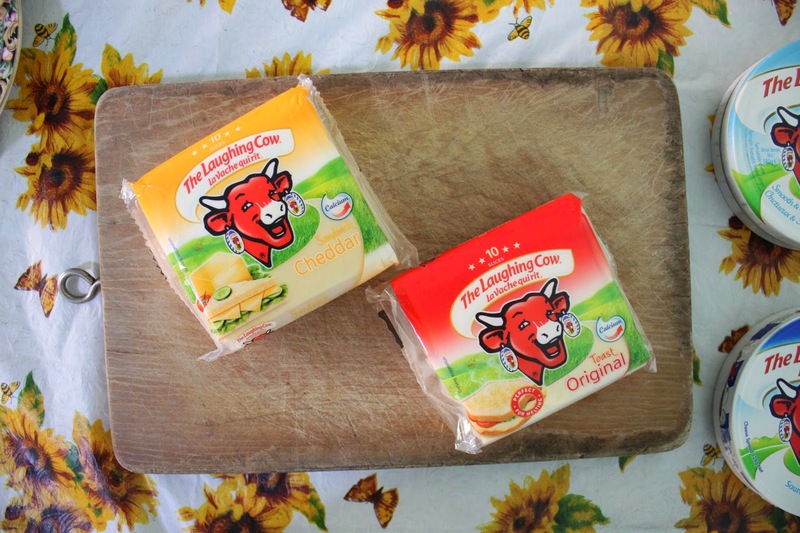 Being one of the world’s most beloved cheese brands, The Laughing Cow®’s array of cheeses is a part of our childhood memories. 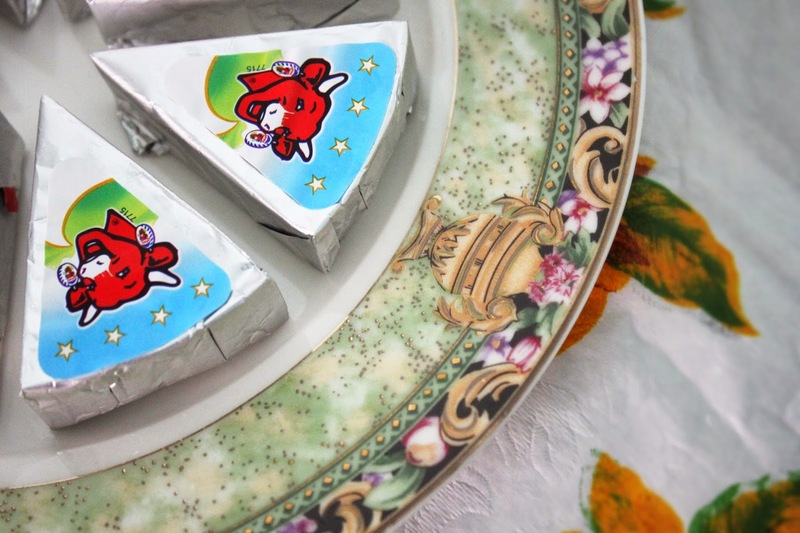 It is convenient, fun and best known for its superbly smooth and creamy taste. 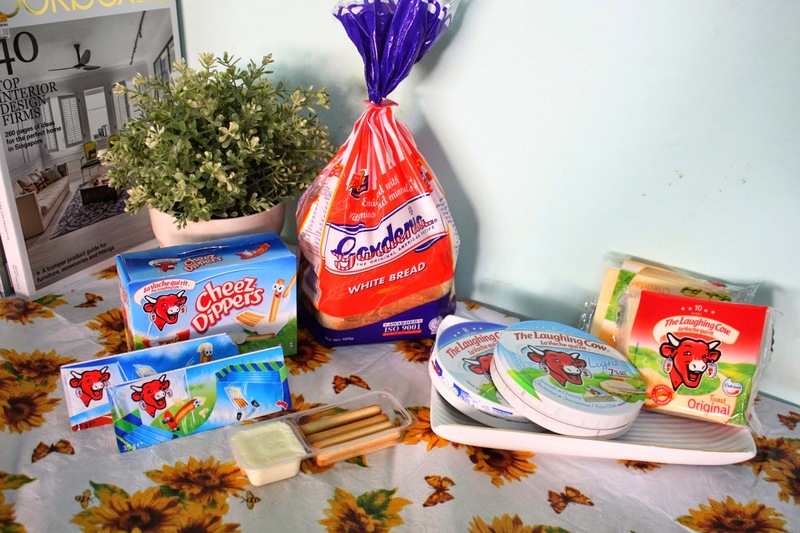 It also serves as a nutritious cheese snack and is a natural source of calcium to strengthen children’s teeth and bones. 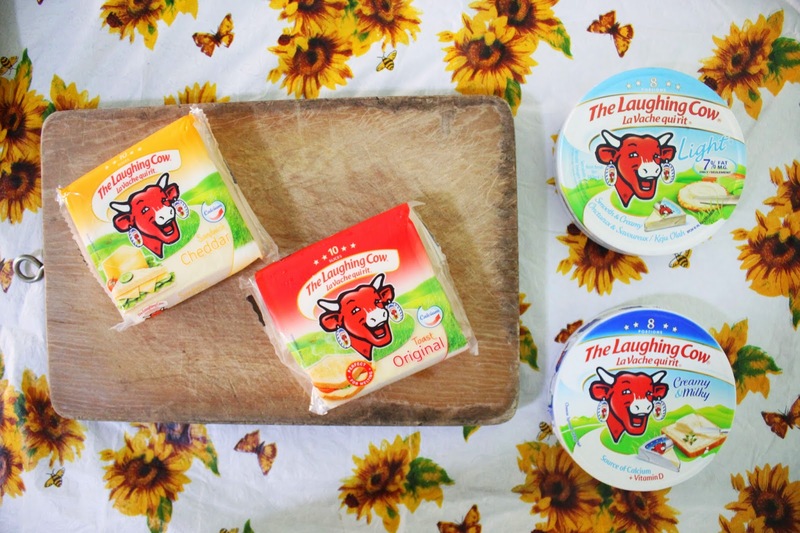 The Laughing Cow® products and promotions are available at all major supermarkets. is currently going for ONLY $5.95 for 2. 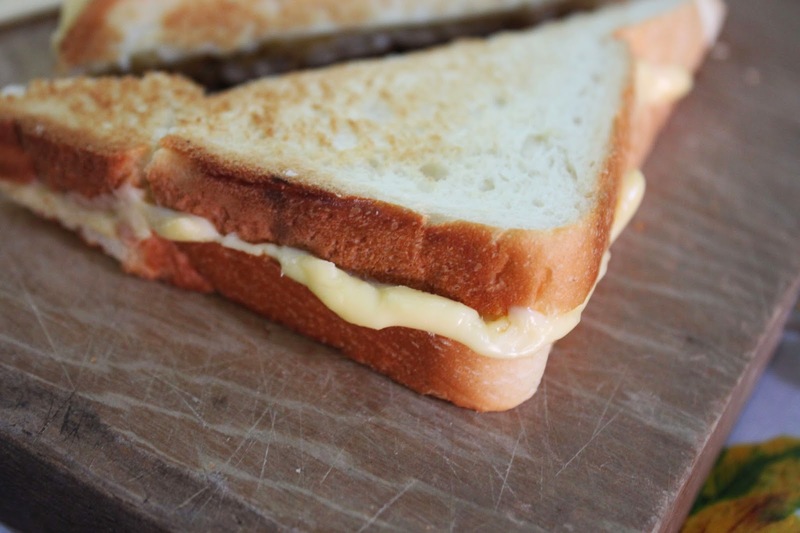 Psst... Am I the only one who LOVES melted cheese? Yum! 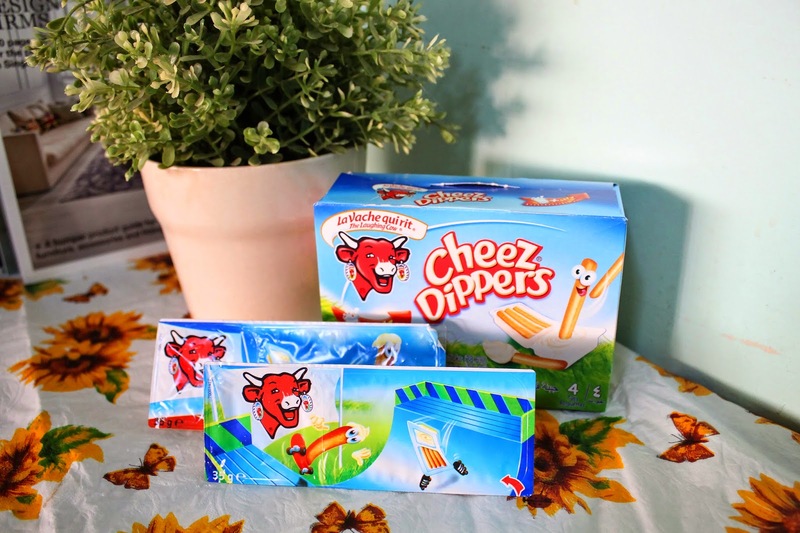 My ultimate favourite of The Laughing Cow's cheese are definitely their Cheez Dippers! Without further ado, read on to find out HOW you can participate and win $500 EACH. 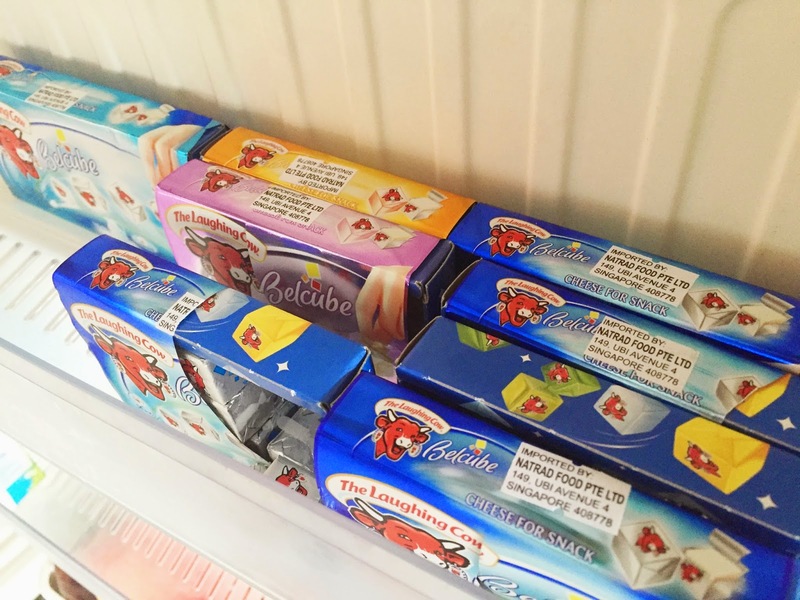 • Simply purchase $10 worth of any The Laughing Cow® products in a single receipt for a chance to win. Increase your chances of winning by making multiple purchases and submitting multiple entries. • 30 winners will win $500 cash prize each. • All entries must reach Natrad Food Pte Ltd by 8 June 2015. • Promotion is only valid for purchases made in Singapore. o Send “TLCfull nameNRICreceipt no.” to 73333 Example: TLC Angeline Yeh S1234567D 8888. Original receipt must be presented as proof of purchase when collecting your prizes. o Entry forms are also available at the customer counter in supermarkets. Gonna submit my forms now, hehe!